NOTE: Valid for 1, 8, 29 April & 6 May departures only. Minimum 2 passengers travelling together for deal to apply. 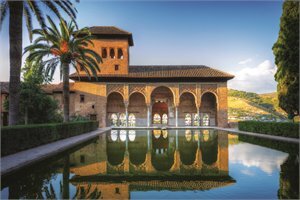 Enjoy the art, history and spirituality of the beautiful Andalusia region. Stroll through the narrow winding streets of the Jewish Quarter in Cordoba and marvel at the lights and architecture of Seville. Discover the historic town of Ronda and see breathtaking valley and mountain views. 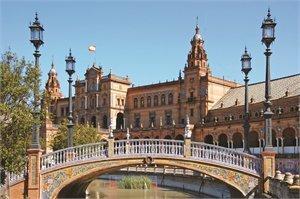 Visit Granada and Imperial city Toledo and enjoy exploring at leisure along the way. NOTE: Valid for 4, 11 Apr, 2 & 9 May departures only. PACKAGE TERMS & CONDITIONS: It is our policy to present the cost of our holidays inclusive of all airport and government charges. Please accept however that these charges are not within our control, therefore we reserve the right to pass on any increase.. Travel agent professional service fees where charged, will be additional to the advertised prices. Closeout and blackout periods apply over school holidays and peak holiday periods & availability of seats & rooms is likely to be very limited over this time . Valid for sales to 30 Apr 2019. Valid for travel commenced and completed within the period 1 Apr 2019 to 13 May 2019 (unless otherwise specified).Offer is valid for new bookings only. Rates are based on 2 adults travelling together. Please note there is limited availability on the advertised tours and all pricing is subject to change until a reservation is confirmed. Inventory & availability can change on a daily basis. Strictly subject to availability for all components. Prices shown are based on per person costs in New Zealand Dollars, for payment by cash, cheque or eftpos only. Credit card sales not permitted unless Travel Agent acts as a merchant. Capacity limitations apply and may not be available on all services. Events beyond our control such as currency fluctuations and changes to the price of aviation fuel may result in prices variations . Strict cancellation fees apply. For full terms and conditions and cancellation fees please contact your local travel agent for more information. Trade enquiries via GO Holidays. Tours operated by Julia Travel.